Since my post of Amazing, I have now finished reading Summer of 76 and read a further 2 books. Not read as much this month due to a busy work load. Hopefully I will make up for that in August. Summer of 76 carried on to be a slow pace read but enjoyable too. It never visited Brighton where Luke was going to be going to Brighton Polytechnic. I particularly love the fact they were polytechnics then and do remember them being that. Now of course, they are universities. As I was only 10, I think I was disappointed when the rain fell after the heatwave of 1976 which is still talked about now. I wonder if I would feel like that now if I had to work in that heat. There was a slight twist in the plot which I had worked out in the middle of the book. 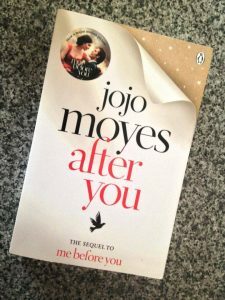 Once finished, I was able to start on After You by Jojo Moyes, the follow up to Me Before You. I was looking forward to catching up with Lou and was so hoping she wasn’t going to let me down. It had been 18 months since we left Lou and we are brought up with what happened in that time in the first few chapters. Considering the subject, I was still surprised with how Lou had been treated by family and friends and that is probably because my opinion is quite open on the subject raised in Me Before You. The Lou I had loved so much had changed but I was very optimistic she was still there. When a young girl seeks questions from Lou, the question Lou needs to find out is she really who she claims she is. Can she answer all the stranger’s questions and can she start living again. Reading it brought many tears but also laughter too. 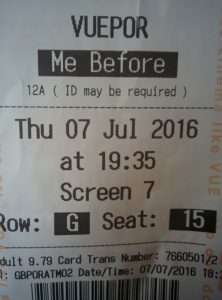 This time I found that I was reading the book in the voice of all the characters Me Before You film! 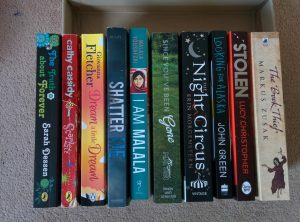 My next book was to continue with challenge number 5 – read a book each month of a different genre that you don’t often read. I had downloaded a few books ready for this but then there was a book on Amazon’s daily deal that caught my eye. It was on a subject I had heard about in the news but I must confess that I was very ignorant about – Female Genital Mutilation (FGM). The book is written by Hibo Wardere and tells her story about the procedure forced on her when she was 6 years old whilst she lived in Somalia. Hibo was left bitter towards her mother and didn’t learn the truth about it until a civil war in her country forced her to become a refugee in our Country. Despite the horrific procedure, Hibo has gone on to have 7 children. She had told her husband that she would not allow her daughters to have this procedure and although they both faced opposition from their families, they made sure their children were kept safe from this. Hibo was finally able to open up to what she had gone through after being asked to attend a meeting, at the school where she had started working, between parents of one of the students, whereby the headteacher suspected the student was going to be taken out of school and flown to their homeland to be cut. Hibo decided to share her story as part of an assignment for her job and also with her three eldest children. This actually lead to Hibo becoming a FGM campaigner to help prevent girls being taken out of this country for this treatment and also to make people aware of this being a British problem. I would never have chosen to read this book if I had not been given this challenge and would have remained very ignorant about this barbaric procedure. I can not understand why anybody would put their daughters through this. I also greatly admire Hibo and also the wonderful people that she talked about who are trying to prevent young girls having to go through this. This book is a must read. 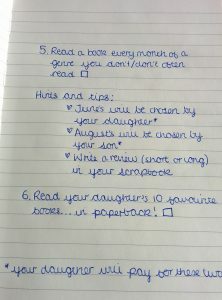 I decided that I needed some lighter reading so thought I would start to tackle challenge 6 – read 10 of your daughter’s favourite books in paperback. This is quite frightening as first of all I have to try to keep the book in the same condition as my daughter keeps them – pristine. This means they won’t come out with me in my bag! Also, how do you drink a cup of tea whilst trying to turn the pages of a book. I have the kindle down to a fine art with that. Before the kindle, I read proper books so I’m sure I can do it again. 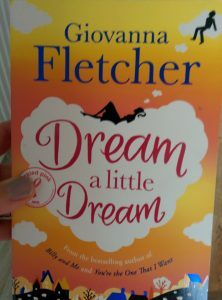 I have chosen to read a book by Giovanni Fletcher – Dream a Little Dream. 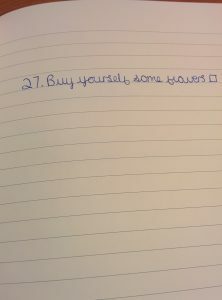 I will update how I get on with this task later. For the month of August, it is the turn of my son to choose a book for me. I am hoping he doesn’t get me to read his current read. As you can see from the picture, he has trouble travelling on the tube and keeping it pristine. I can’t understand why my children don’t get a kindle! I don’t often watch TV. If I’m honest, the remotes baffle me and take a lot of working out. Also I’m rarely in control of the remotes so I don’t even get to choose what is on the TV. If the soaps are on, I can normally catch up with them easily even when a character has been brought back from the dead. Every now and then I like to watch a drama series. I tend to do that on catch up at my own leisure. I do like to watch the Christmas films no matter how awful they are. Christmas Trees and Santa have a place in my heart and I’m so excited when they start advertising the Christmas Channel. It amazes me that whilst I grew up with 3 channels, we now have so many channels but most of them are duplicates (plus 1 and even plus 2) and films are repeated so much. I don’t want to watch people fighting to buy junk, so called celebrities locked in a house and countless quiz shows. After flicking through the channels and finding You’ve got Mail and Back to the Future on about 6 channels (nothing wrong with either of these films I must add), it was decided to try the Amazon Prime site. Now I’m scared of this site as not all is free and I worry I will spend somebody else’s money to watch a film I fancy so I tend to stick to Netflix. 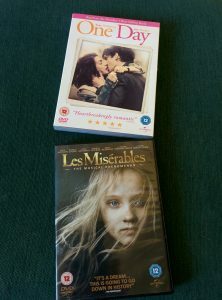 Anyway as it was Saturday and Hubby had controls, it was decided we would buy a film and chose The Intern. I was happy about this as I liked both the main actors, Anne Hathaway and Robert DeNiro. There are quite a few American actresses I like watching and Anne Hathaway is certainly one of them. People might not have have rated her Yorkshire accent in One Day but I loved her anyway and I loved her in Les Miserables. A few weeks ago, I had been told about a song that Barbara Streisand performed with Daisy Ridley so I searched to listen. Now Daisy Ridley was one of the reasons I went to the cinema with the family to watch my first ever Star Wars movie. I have turned out a big fan of both Daisy and Star Wars which was a surprise. I did have a few people saying you can’t see the new Star Wars film if you haven’t seen the rest but I have given birth to children who, if they enjoy something, will be so knowledgeable that they can teach you everything you need to know. This meant I didn’t have to waste my time watching parts 4 – 6 (or whatever number the first three films are now!) and enjoyed the film so much. Anyway sorry for the digression, lets get back to Anne. The recording I watched was At the Ballet (from one of my favourites, The Chorus Line) and Anne was singing in it. I do love Barbara but I was so blown away with Anne’s part. The song was put on my iPod and I enjoy singing along to that. As for Robert DeNiro, I was late in discovering him. It was in Meet the Fockers that I probably first enjoyed watching him. I know that he won an academy award for supporting actor in The Godfather Part II but I’m not that cultured. I don’t take much notice about the critic’s view (as far as I’m concerned we are all different people and what I enjoy as my pastimes might all be different to another person. 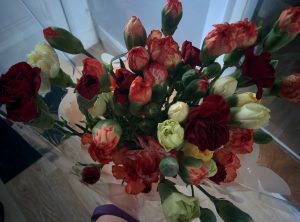 If something is truly dreadful, the majority of people would agree. Look, I like trashy Christmas movies but don’t enjoy trashy programmes with celebrities). The film was perfect viewing for a Saturday evening and, I forgot to mention that once sat down to watch TV, I am well known for falling asleep, but this kept me awake. I even left the ironing so I could get myself drawn into the story. It is about Ben, played by Robert DeNiro, who is a widowed 70 year old. Retirement isn’t so great especially as he is a widow so when he sees a advert for Senior Interns, he applies. Jules, played by Anne, is a successful founder and owner of About the Fit, an e-commerce start up where Ben becomes an Intern. Jules’ investors decide it is time to find an outside CEO to take some pressure off Jules which she is opposed to. Whilst trying to keep her distance from Ben who has been assigned to her, Jules slowly finds Ben as someone she can trust and share her thoughts with. You can’t help liking Ben’s character and he certainly gains the respect of his younger colleagues. Ben is certainly a man who believes in tradition and still wears his suit to work. He’s old and trusted briefcase goes with him too and the fact that he shaves everyday meets astonishment from his colleagues. 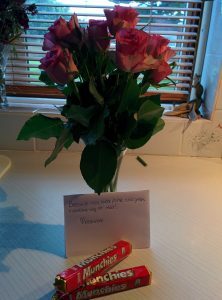 Whilst he might have old fashioned ways, he is still struck by how Jules has started her business and how much she cares in it and how she shares her ways with her staff. Now I know I can actually watch a film without falling asleep, I can look forward to watching a bit more. I love cooking and I have a few challenges to do with cooking. Host a MacMillan Tea Party, bake a cake you have never tried before, buy some kind of baking machine, make and document something with it and many more. 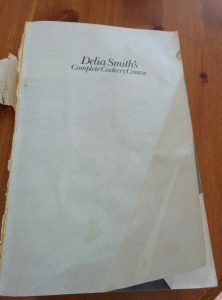 I never enjoyed cooking at school but once I had my own kitchen to cook in and a copy of Delia Smith’s Complete Cookery Course (well used as you can see), I was on my way to making wonderful roasts, quick pasta dishes, Monday night curries with leftovers and beautiful cakes. I discovered Mary Berry and when the children came along, I made traybakes to put in their lunch boxes. 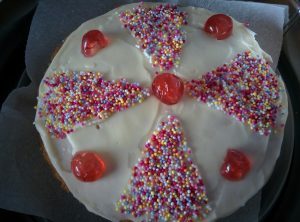 My favourite cake for birthdays is still the good old Victoria sponge which my daughter also makes a mean one too. Baking with the children was always a favourite thing and my son does experiment now and again. Nothing beats a homemade meal or cake and it is also very therapeutic. It certainly can calm me down after a stressful day at work although sometimes I might just go for the good old fish and chips from the local chippie! I really think cooking lessons should be prescribed by Doctors! I had friends who always insisted that Birthday and Christmas presents should never be a household item including cooking equipment. 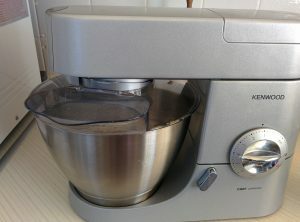 I might object to a vacuum cleaner but I never minded to some new piece that I could bake with. A few years ago I did say I did not want another thing for the kitchen. However this turned up and I happily accepted it! 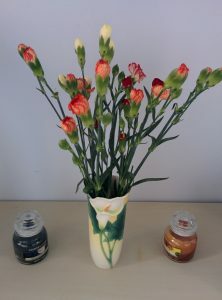 My daughter’s boyfriend, Aaron treated me to some wonderful birthday presents for my 50th birthday. One of them was a subscription to the Bakedin Baking Club. It has been wonderful. 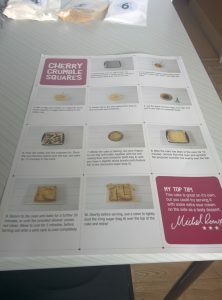 I have now received three boxes which have a recipe inside with step by step instructions to cook. There is also bags of ingredients weighed out in numbered bags. All you need to do is add a few ingredients which are normally in my cupboard, a baking tin and bake. 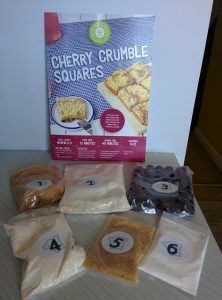 Cherry Crumble Squares were today’s delight. 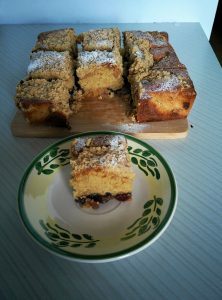 I quickly whizzed up the cake mixture in my processor, poured into the prepared tin, added the cherries and put in the oven for 10 minutes whilst I made the crumble. 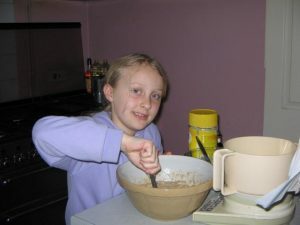 The crumble was then added to the top of the cake mixture and returned to the oven for a further 30 minutes. The cooking smells were delicious and I couldn’t wait to try. 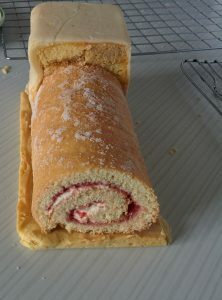 When cut the cherries had sunk to the bottom and I did wonder if I should have washed and dried before I put on top of the sponge mixture but overall it didn’t take make any difference to the taste which had a lovely spicy taste from the cinnamon. This had been included in bag 4 with the self raising flour. We served it with custard and cream as a dessert and it was a big hit. The instruction card comes with all the ingredients and weights that is included in the kit so I will definitely be baking this again. 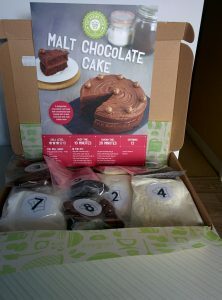 My next box has arrived and I can’t wait to bake this. 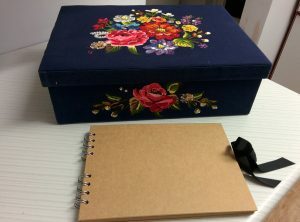 It fits into my bag and can easily be brought out to read if I am hanging around waiting. Nobody knows what I am reading. It doesn’t take up much room when I am travelling so not adding to luggage allowance when I am flying. It is so easy to download books. I said it was easy to download – nobody but me knows how many books I have. Let’s say that if I get stranded somewhere, it will be many years before I run out of reading material! There are a few things I miss about having a physical book. Opening the first page of a book is such an enjoyable experience. Going into a bookshop and buying a book (yes I sometimes feel guilty about contributing to the closure of small bookshops. You’ve Got Mail is one of my favourite films). I do sometimes wander in to look at the books. One of the things I miss most is not having books as presents. I do get vouchers to buy but sometimes someone buying you an unexpected book is just an enjoyable experience. That said, my daughter is a very keen reader, (at 20 years old, she only reads proper books. She has to carry her books in her own hand luggage!) and she often gives me the money with strict instructions on what book I have to buy with it. Challenge 5 is to read a book every month of a genre you don’t/ don’t often read with June’s book chosen by her and August by her brother. 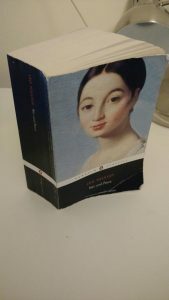 Challenge 6 is to read her 10 favourite books in paperback. The June book chosen by her is Fangirl by Rainbow Rowell and is a book for teenagers. I started reading it a week ago and was given a quick brief about the book by my daughter. The main character of the book is Cath who is an identical twin, horribly shy and writes fan fiction. Not really understanding fan fiction, I did have to put it into the search engine. From what I understand it is where fans of books write there own stories of characters or scenes. I think that if it had been around when I was a young girl, I would have enjoyed writing stories about the characters of Mallory Towers although it would not have taken the same route as Cath’s characters. In Kindle terms, I am 62% through the book and I would have liked nothing more than to finish the book today but unfortunately I have other things I have to do (guiltily watching ELO at the moment). I will certainly finish it by the end of the month though. I am enjoying the book and I do like most of the characters. There are a few characters that I haven’t got to like or meet yet. Maybe my opinion will change. I will hopefully review it later. 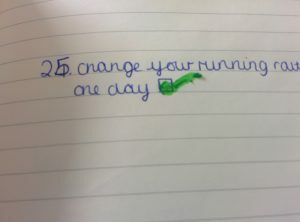 Challenge no 50, and should hopefully be the last of the challenges ticked off, is on the 6th June on your blog, write about how you found being 50. I thought that to begin with I should try to sum up how I felt about turning 50. When I was 30, I had a three year old and a young baby so it never felt old. 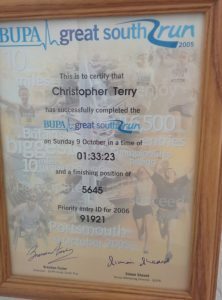 At 40, I didn’t feel a lot different. 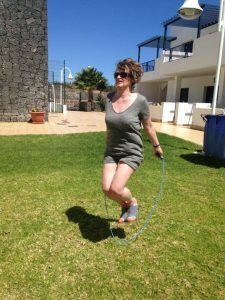 When I thought of being 50, I felt I was getting old. 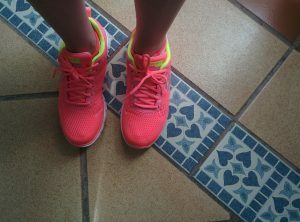 I didn’t feel it; I was fit, healthy and positive. In fact, I still felt like I was 25 but the number itself seemed frightening. One thing I was certain about was that I didn’t want any big or surprise party to celebrate my birthday. 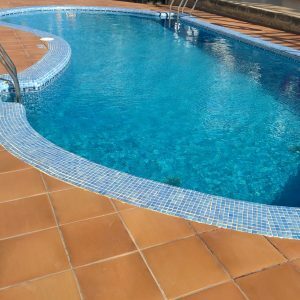 In the end, I opted for a holiday in the sun with my Son and Daughter. We flew to Lanzarote two days before my birthday so birthday celebrations actually started a few days before that. My last day of 49 reading by the pool was perfect. 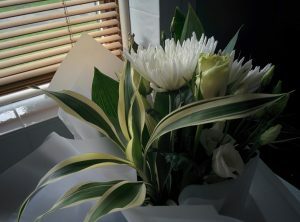 The big day came and apart from having my daughter singing Happy Birthday to me at 3.30 am, it didn’t feel any different. After opening so many presents from my wonderful children, and with my 50 badge proudly on, we set off to take the boat across the water to visit Fuerteventura. The weather was glorious. 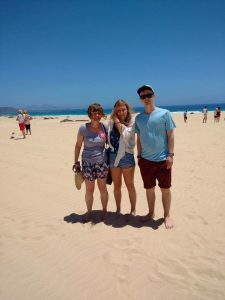 We enjoyed shopping in Correlejo, walking bare feet on the sand dunes then jumping through the waves at the beach. The journey back on the boat was very memorable watching the crew run around with sick bags as the ride was very bumpy. This is not something they tell you about when booking the excursion! 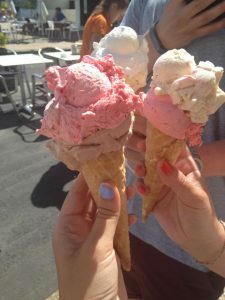 We were not affected by the boat ride and walked back to our hotel stopping for one of the many delicious ice-cream we enjoyed on holiday. 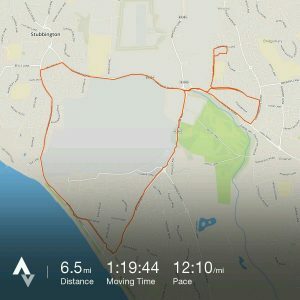 1 Learn how to skip – I managed 5 – will try to improve! 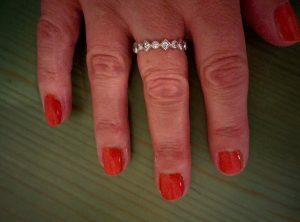 47 Buy and use a nail varnish colour you wouldn’t normally – note the lovely ring! I am having the longest birthday and enjoying it too. 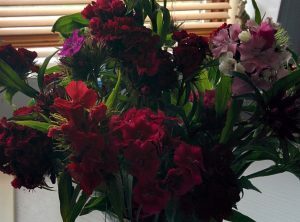 It will come to the end in a just over a week’s time when I will be enjoying celebrating with my friend who will be 50 in August. Looking forward to sharing that adventure with you.